Opis: Lost Rose, Vol. 2 of 3 - Macquoid Katharine S.
The house was larger than many Breton dwellings, as there was a story above the great ground-floor room, that served for sleeping, eating, and living in; but, like the rest of Huelgoat, it was built of granite, and had small and few windows, and a thatched roof, grey with weather stains. The tall man had to stoop to pass under the arched doorway, and he put his hand up to keep his broad-leaved, low-crowned black hat on his head, as he stepped into the passage which divided the chief sitting-room from a smaller one at the side of the house. "One might as well be at sea." He gave a frank, hearty laugh. "Wake up there, Jean Marie. I tell thee the old chimneys are shaking in the wind. Rouse up, brother." He walked noisily across the uneven clay floor, his sabots jarring against the stones set every here and there, to a long bench in front of the open fireplace, and put his hand on Jean Marie's shoulder. Szczegóły: Lost Rose, Vol. 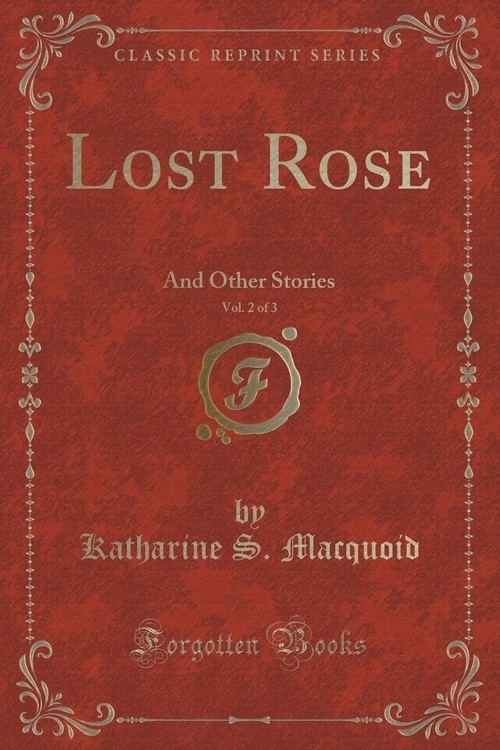 2 of 3 - Macquoid Katharine S.
Recenzje: Lost Rose, Vol. 2 of 3 - Macquoid Katharine S.